Dr V.N.Krishna Iyer, on his return to India after higher studies in England, found the medical facilities in Thrissur (then Trichur) woefully inadequate. People had to travel to Ernakulum or Coimbatore even for basic investigations. With a visionary zeal, he decided to address this deficiency by starting a medial institution. He was farsighted, thinking of such a venture long back. He was selfless, starting a private limited company rather than going for money-making venture owned by himself. Thus, in 1948, was born the POLYCLINIC, one of the oldest corporate medical institutions in the country. The following members constituted the first board of directors. Mangalodayam Nursing Home, working in Iyyappan Building was bought by Polyclinic. Dr V.R.Menon(RMO), Dr.K.G.Sangam(Radiologist) and Dr.P.Narayana Menon (Pathologist) joined the company. X-ray and Laboratory departments were started. 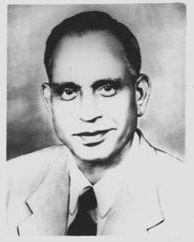 For personal reason, Sri.M.C.Nambudiripad had to leave his position as M.D, but continued on the board. Sri.V.N.Parasurama Iyer, Sri.V.N.Gopalakrishna Iyer, Dr.V.N.Krishna Iyer and Dr.C.J David served as Managing Directors laying a strong foundation to the company. Dr.C.J David joined the company as TB specialist. The existing building could not accommodate all the in patients. A three acre plot was bought on the Ayyanthole Road in West Fort. A Hospital was built with two separate blocks, one exclusively for TB patients. However, the hospital had to be closed down after the demise of Dr. Krishna Iyer in 1969. The great poet Changampuzha spent his last days in the old Nursing Home. 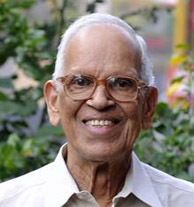 Sri.M.C.Nambudiripad came back as Managing Director in 1976 and continued until his demise in 2012. He scripted the company�s growth story. Land measuring 23cets on the Town Hall Road was bought from Dr.K.F.Manavalan. A Two storied building (each floor about 5500 Sq.feet) was constructed. Fully automated clinical laboratory with state of the art analysers, interfacing and sample bar-coding. X-ray department with computed radiography handling a wide range of x-rays. Ultrasound with colour doppler scan. Full-fledged Histo / Cyto / Haemato - pathology department.